Spoiler alert! 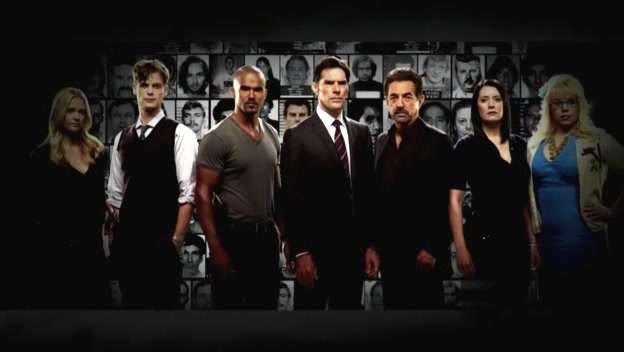 Rather than stage a funeral to explain the upcoming exit of Paget Brewster's Emily — just a year after she faked her death — CBS' Criminal Minds has decided to end the season with a wedding. But who's getting hitched at the end of the tense two-hour finale is a secret. "We decided not to kill her off," explains executive producer Erica Messer. "We had already buried her, so that would have seemed repetitive." 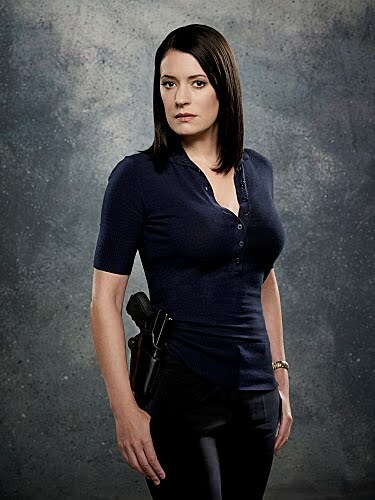 Please join us in wishing a very Happy Birthday to Paget Brewster who celebrates her birthday on March 10th. Happy Birthday, Paget! 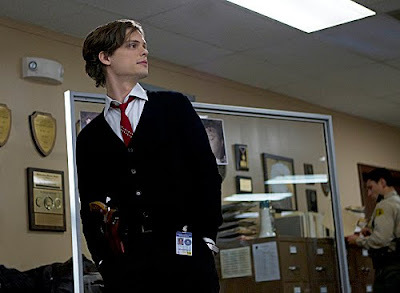 Please join us in wishing a very Happy Birthday to Matthew Gray Gubler who celebrates his birthday on March 9th. Happy Birthday, Matthew! 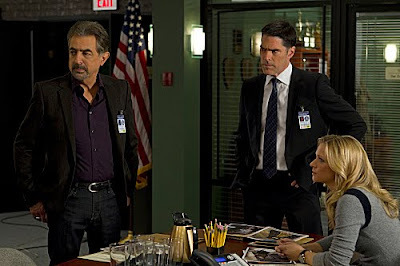 "Heathridge Manor" --(From left) Rossi (Joe Mantegna), Hotch (Thomas Gibson), JJ (A.J. 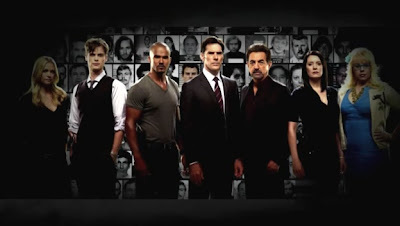 Cook) and the BAU head to Oregon to investigate a series of gothic, ritualistic murders of women and suspect that the UnSub they are looking for may be a Satanist, on CRIMINAL MINDS, Wednesday, April 4 (9:00-10:00 PM, ET/PT) on the CBS Television Network. Series star Matthew Gray Gubler directs the episode. Photo: Monty Brinton/CBS. ©2012 CBS Broadcasting, Inc. All Rights Reserved. "Heathridge Manor" -- Rossi (right, Joe Mangena) and Detective Gassner (left, guest star Robert Englund) discuss clues when the BAU head to Oregon to investigate a series of gothic, ritualistic murders of women and suspect that the UnSub they are looking for may be a Satanist, on CRIMINAL MINDS, Wednesday, April 4 (9:00-10:00 PM, ET/PT) on the CBS Television Network. 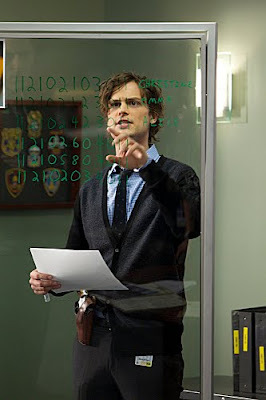 Series star Matthew Gray Gubler directs the episode. Photo: Monty Brinton/CBS. 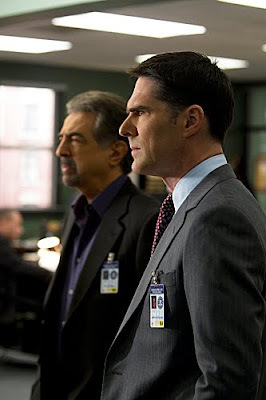 ©2012 CBS Broadcasting, Inc. All Rights Reserved. "Heathridge Manor" -- Rossi (near right, Joe Mantegna) and Hotch (far right, Thomas Gibson) are assisted by local police Detective Gassner (left, guest star Robert Englund) when the BAU head to Oregon to investigate a series of gothic, ritualistic murders of women and suspect that the UnSub they are looking for may be a Satanist, on CRIMINAL MINDS, Wednesday, April 4 (9:00-10:00 PM, ET/PT) on the CBS Television Network. 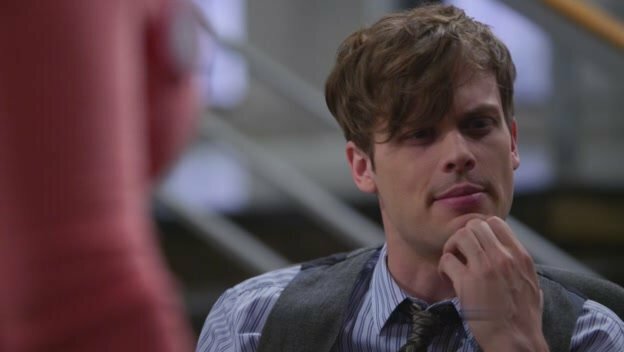 Series star Matthew Gray Gubler directs the episode. Photo: Monty Brinton/CBS. 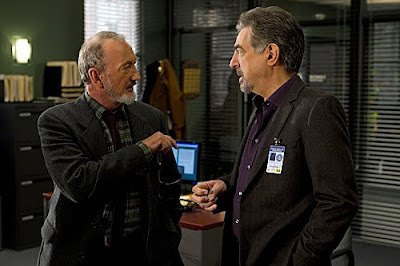 ©2012 CBS Broadcasting, Inc. All Rights Reserved. "Heathridge Manor" -- Reid (Matthew Gray Gubler) looks at an equation which could help him and the BAU when the team is in Oregon to investigate a series of gothic, ritualistic murders of women and suspect that the UnSub they are looking for may be a Satanist, on CRIMINAL MINDS, Wednesday, April 4 (9:00-10:00 PM, ET/PT) on the CBS Television Network. 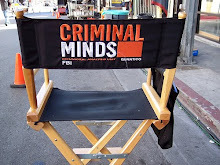 Gubler also directs the episode. Photo: Monty Brinton/CBS. 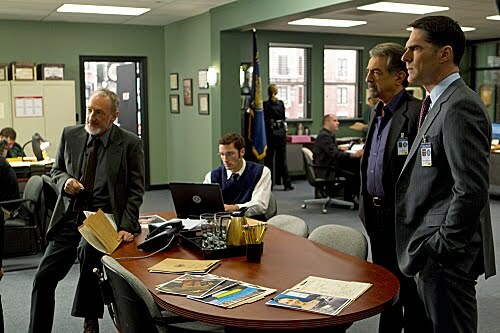 ©2012 CBS Broadcasting, Inc. All Rights Reserved. "Heathridge Manor" -- Rossi (Joe Mantegna), Hotch (Thomas Gibson) and the BAU head to Oregon to investigate a series of gothic, ritualistic murders of women and suspect that the UnSub they are looking for may be a Satanist, on CRIMINAL MINDS, Wednesday, April 4 (9:00-10:00 PM, ET/PT) on the CBS Television Network. Series star Matthew Gray Gubler directs the episode. 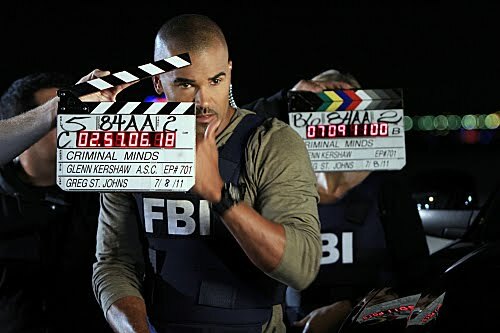 Photo: Monty Brinton/CBS. 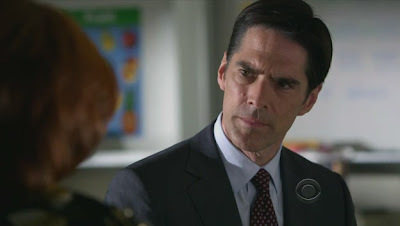 ©2012 CBS Broadcasting, Inc. All Rights Reserved.